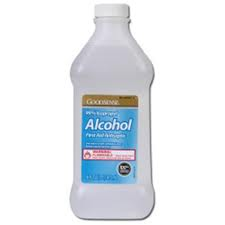 99% isopropyl alcohol is used to clean and prevent infection in minor cuts and scrapes. Relieves minor muscle pain. Industrial cleaner for machinery and parts. 99% isopropyl, 16 oz bottle.